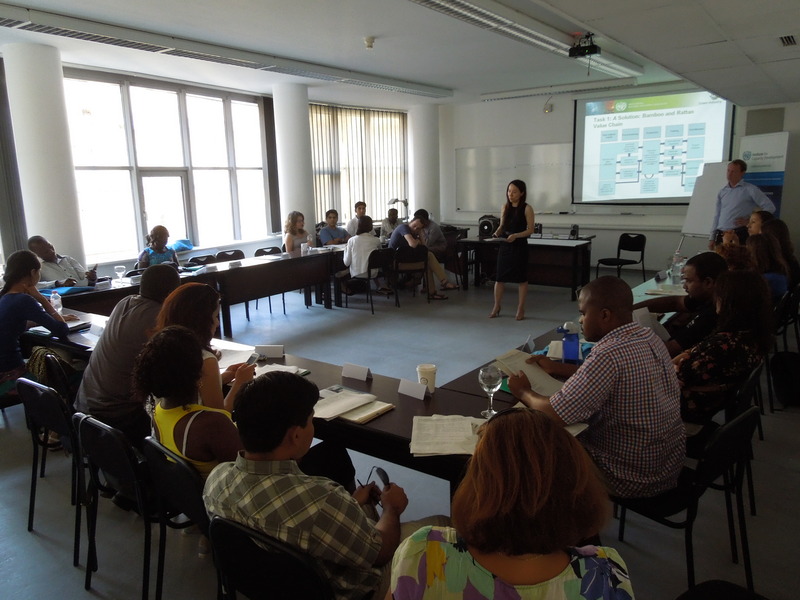 In July 2013, I had the opportunity to participate in the course “Green Industry: Pathways Towards the Industry of the Future”. 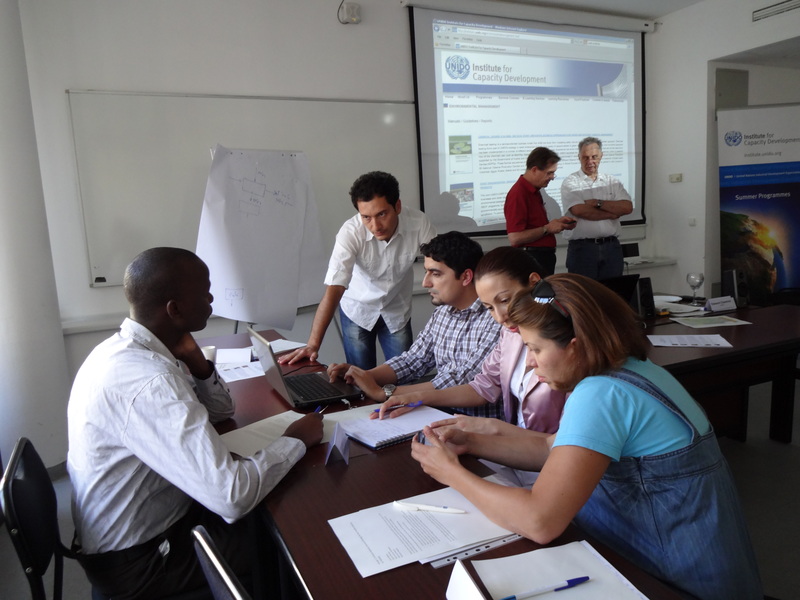 This is a summer course organized by the UNIDO Institute of Capacity Building and the Central European University, best known as CEU. 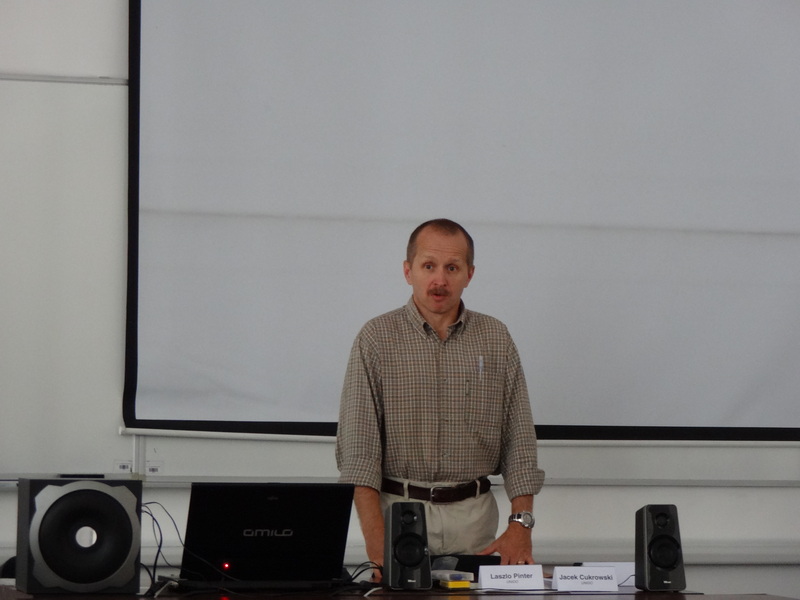 The course was given in the University Campus, located in the hearth of Budapest, Hungary. This was the second consecutive year this course is taught. Its main objective is the search for innovative solutions and the creation of new capacities in industrial development, applying the concept of Green Industry. The course was divided in two parts. The first part was online and more than one hundred fifty people for all over the world participated in it. For the second part, twenty-five students were selected to participate in the in-residence part of the course in the marvelous city of Budapest. The methodology of the on line part of the course was not based on “virtual classes”, but rather on discussion forums in which participants exchange ideas related to the topics analyzed. This part was divided in 4 modules that were developed in four weeks. In each week, organizers shared a reading list that gave an oversight of the topics and formulated the questions that started the discussions. Participants were encouraged to intervene based on their personal background. This gave the opportunity to share our experiences and learn from what our piers where doing across the world. Also, the quality of the interventions where taken into consideration to chose the participants for the second part of the course. Some of the readings of these modules are link to the next images. I chose these three because I found them very useful into what I am doing right now. In the online course I met Franz Brugger, who was in charge of directing this stage of the course. He had the support of Caterine Wong, both members of UNIDO. They provided the general information of the course, the readings of the modules and formulated the questions that where discussed in the virtual forum. They where also our host in Budapest and they always gave us the best attention and support. The in-residence part of the Green Industry Summer Course was held in one of the most beautiful and emblematic cities of Central Europe: Budapest, Hungary. 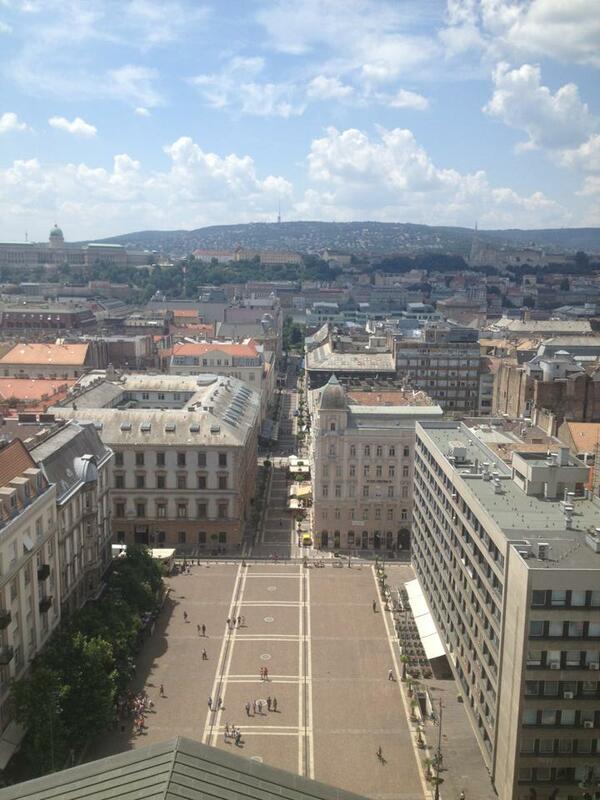 CEU hosted the course in their campus, which is located in the heart of the city, near the most iconic locations of Budapest. During that summer, CEU received 461 students, from 95 countries worldwide. 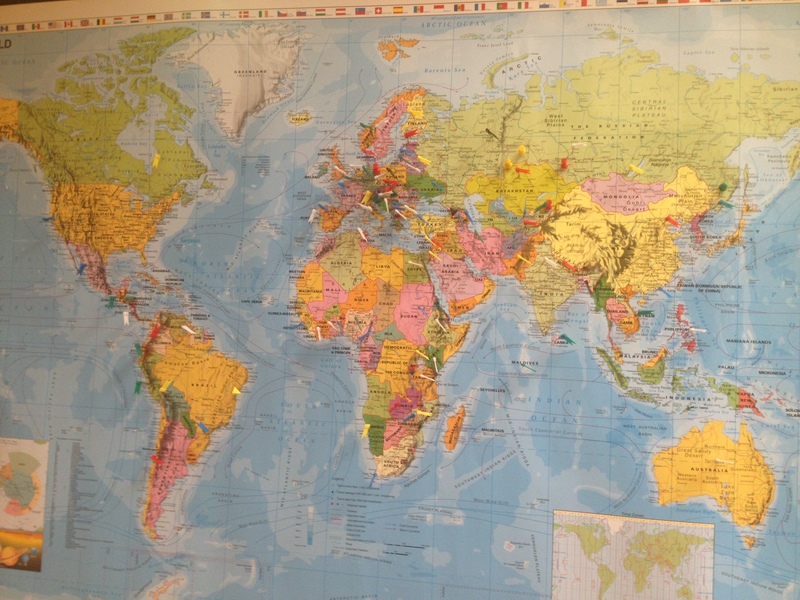 On the world map you see below, they marked the countries where the students came from. The Green Industry group was conformed by 25 students from 23 countries. It was very interesting to meet each and every one of my classmates. Getting to know them and their experiences was one of the most valuable assets of the course. They are all well prepared people who are doing great things in sustainability for their local environments. A good network of colleges and friends was established there. During the course, we had a full schedule. The activities were divided into lectures on several topics related Green Industry and group works. Among the lecturers we had international experts from the United Nations, CEU professors, prominent people from innovation, politics and activism fields in Europe. 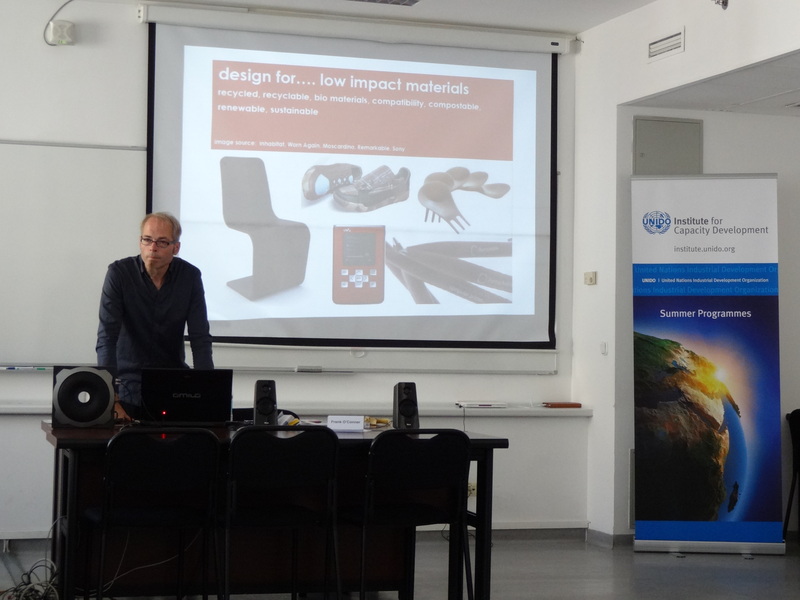 I found particularly interesting the lecture of Frank O’Connor Director of the Ecodesign Centre in the UK. His main message was that we should never accept that something could not be changed because “that is the way it is”. He taught us not to settle and always use our creativity and hard work to make things better. Frank is a designer who has dedicated his life to finding sustainable solutions for the design of the products we use every day. I also enjoyed the ideas shared by the Professor Lazlo Pinter, from the Department of Sciences and Policy of CEU. According to the professor, there are three layers in the transformation towards Sustainability. In a surface layer, individuals start to adjust by listening to the system feedback and the environment pressures. In the mid layer, rules and incentives come along to create a structural change. In the deeper layer of transformation, individuals share mindsets that are translated into vision, goals and collective action. 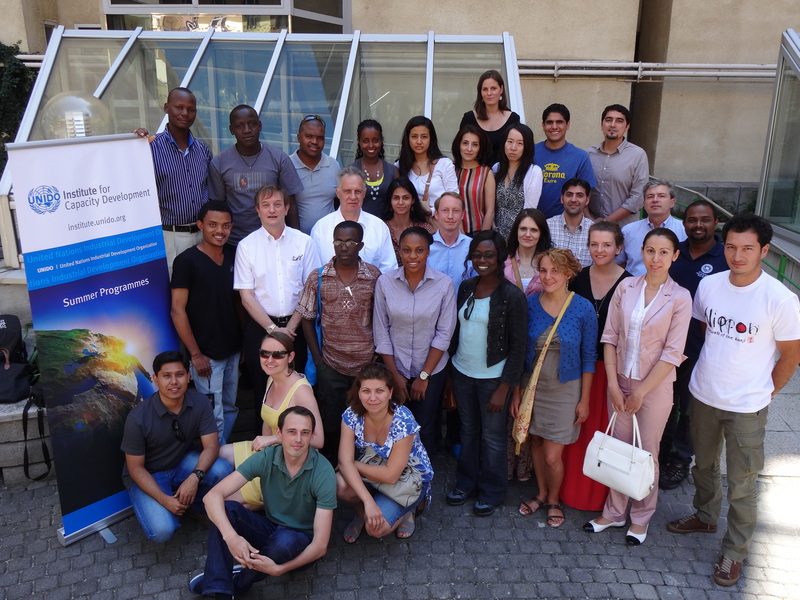 The Green Industry Summer Course is definitely a great experience for environmental change agents interested in building new capacities in the fields of sustainability and industrial development. Also, it represents a unique opportunity for networking with a variety of professionals from all over the world who share the common objective of helping our countries to develop in a greener way. Visit to former soviet industrial plant. View of the city from the Citadella.